Hello sweeties! Today I have a real quick post for you. It’s a really busy week for me, and I have 2 very important presentations to do tomorrow. So yeah, I’m just going to drop a few pics of a gorgeous holo polish and then get back to work! Gorgeous right? I love teal/ aqua so much, and adding holo to it is even better! Ahhh I love it so much 🙂 This was an easy 2 coater with a perfect formula. And the linear holo is strong! 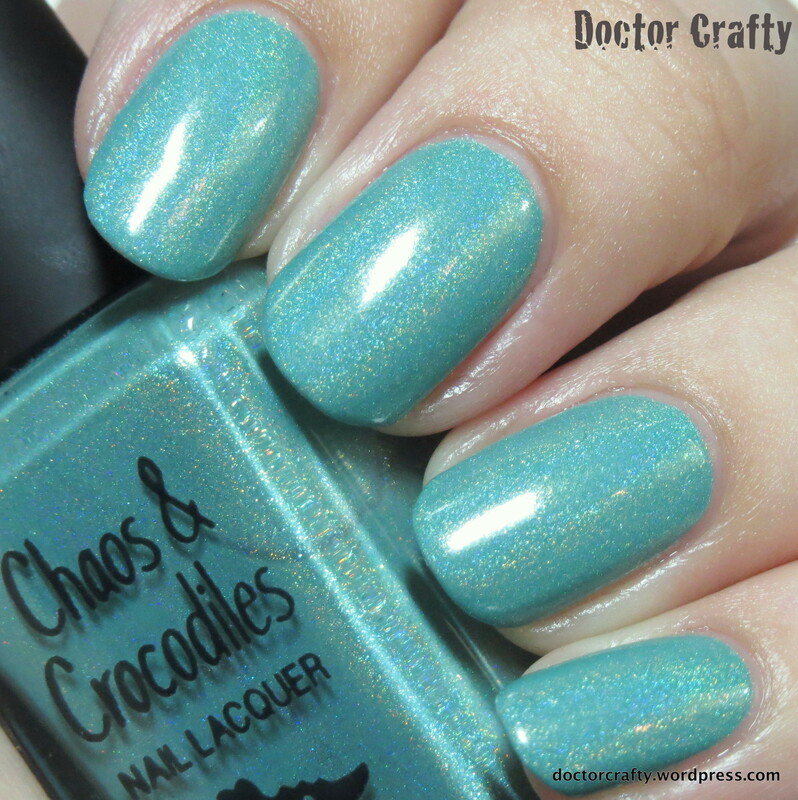 So when I first put it on, I immediately thought of I Love Nail Polish Music Box (another light teal/ aqua holo). Putting them next to one another seems like they could be dupes, but I’ll have to swatch them to make sure! But keep that in mind because I think the C&C collection is sold out at the moment. I love it! And I’m loving the semi-pastel holo trend out there! What do you think? 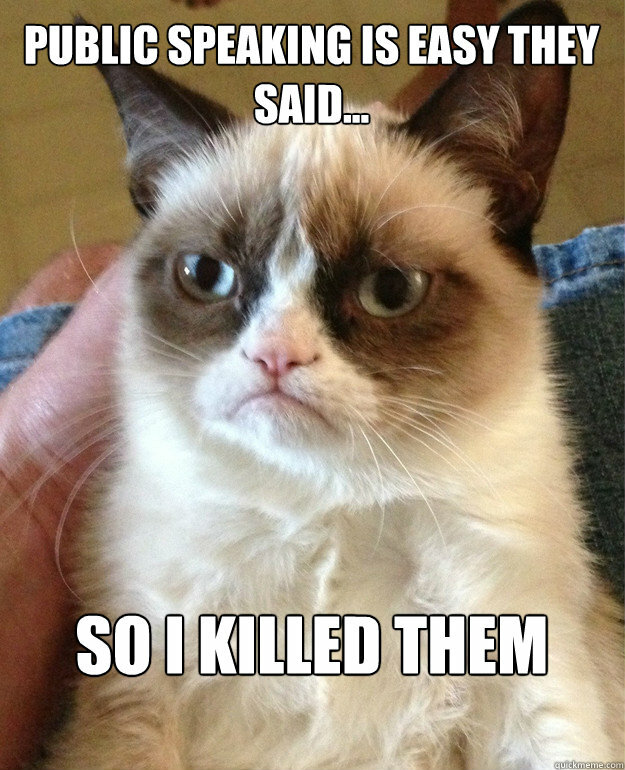 I’m off to begrudgingly work on my presentations. 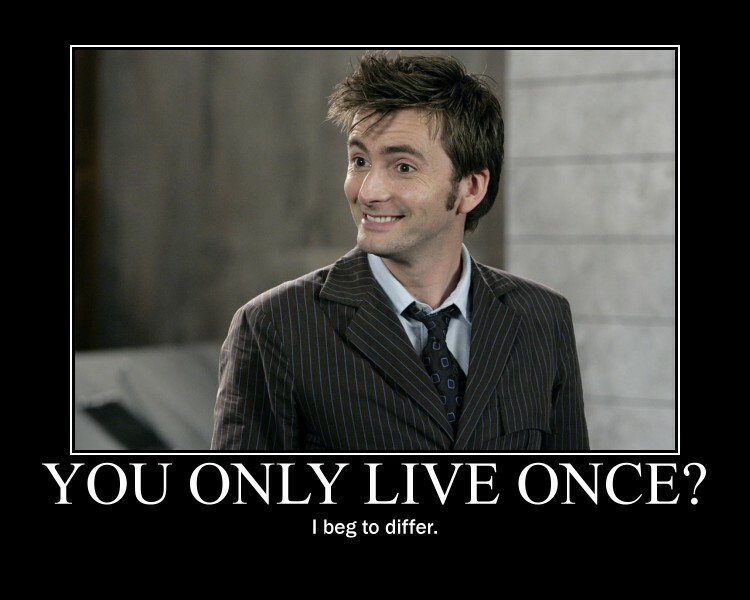 So I’ll leave you with your daily David Tennant! 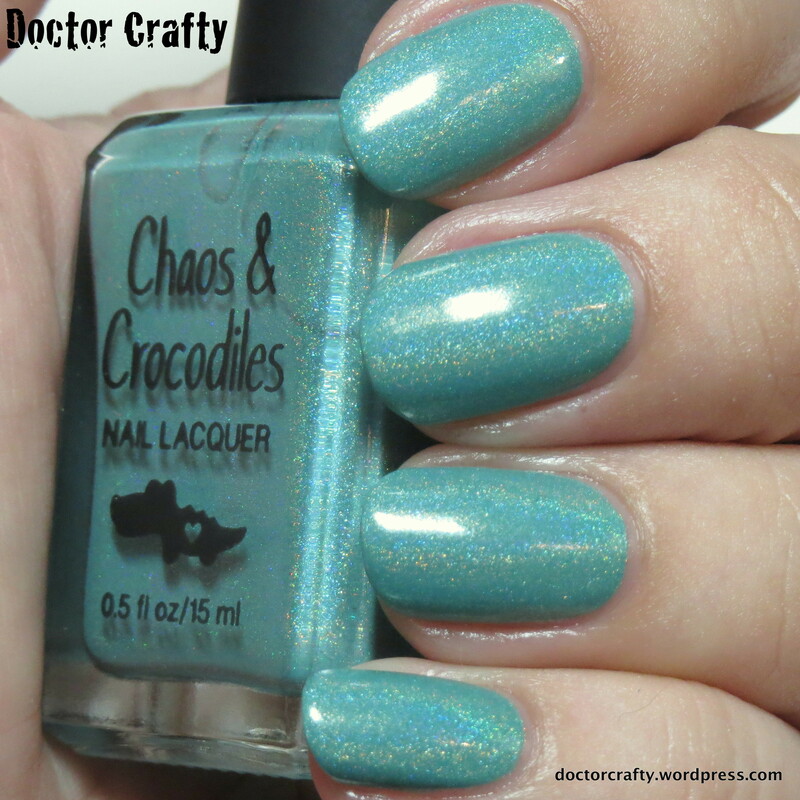 This entry was posted in Nails and tagged david tennant, doctor who, grumpy cat, holo, holo humpday, holo nail polish, holographic, holographic nail polish, holographic nails, nail polish, nail polish review, nail polish swatch, nails on April 29, 2015 by doctorcrafty. Hello sweeties! 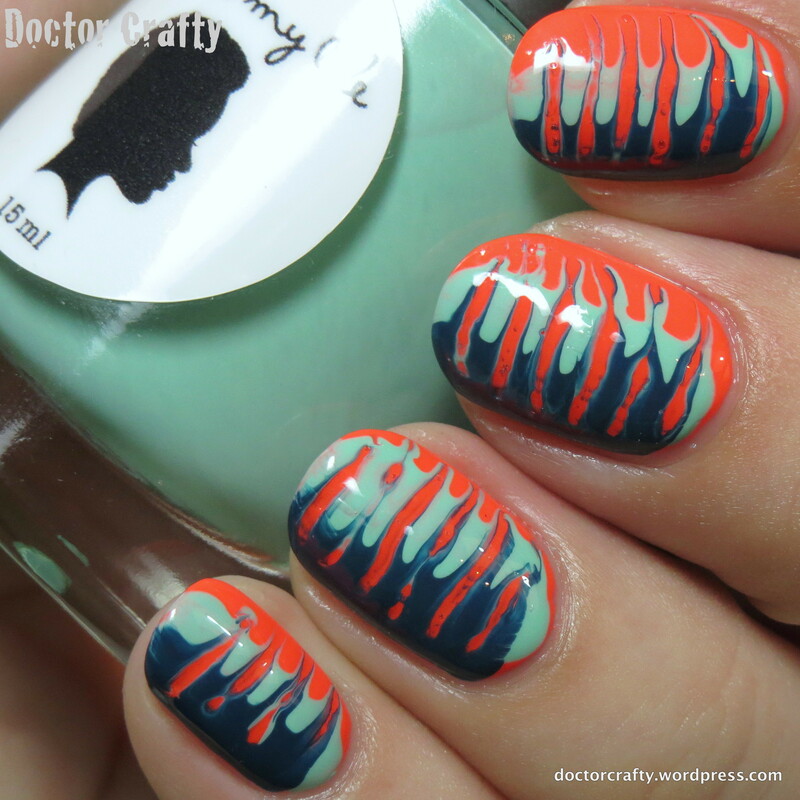 It’s almost the April, and I have one last look from the Nail Challenge Collaborative’s 3rd anniversary theme of recreating one another’s manis. I had so many I wanted to try out, so it was really difficult narrowing it down to 4 looks! 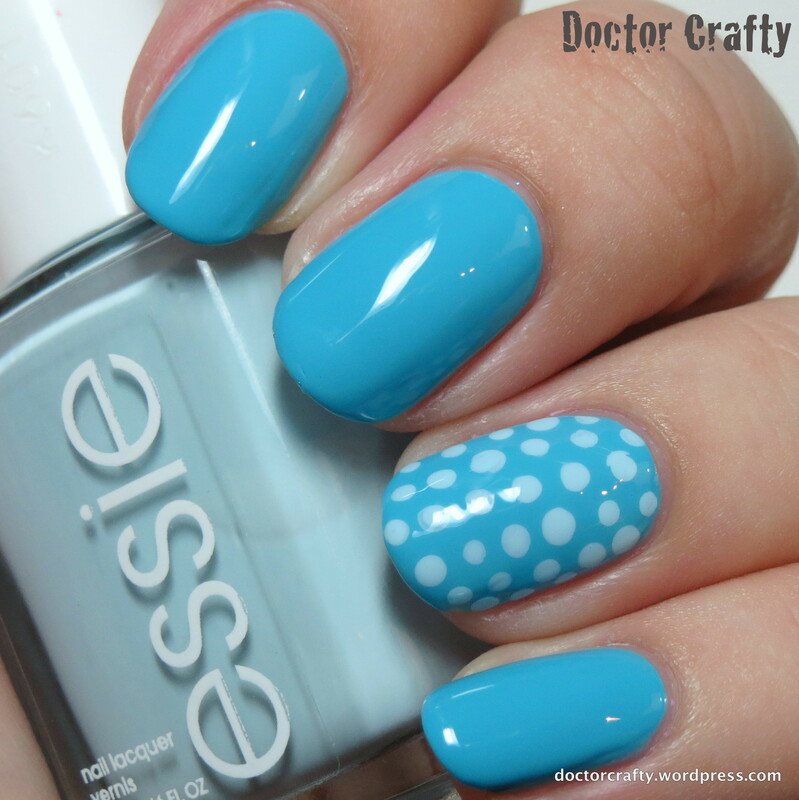 This last manicure is a recreation of a cloud mani done by Katee from A Girl and Her Polish (see her blog post here). I’ve never done a cloud manicure, but I’ve seen them around for awhile and always wanted to try! It wasn’t as hard as I thought it’d be! And I really like the color combination that Katee did, so I wanted to stay as close to that as possible. 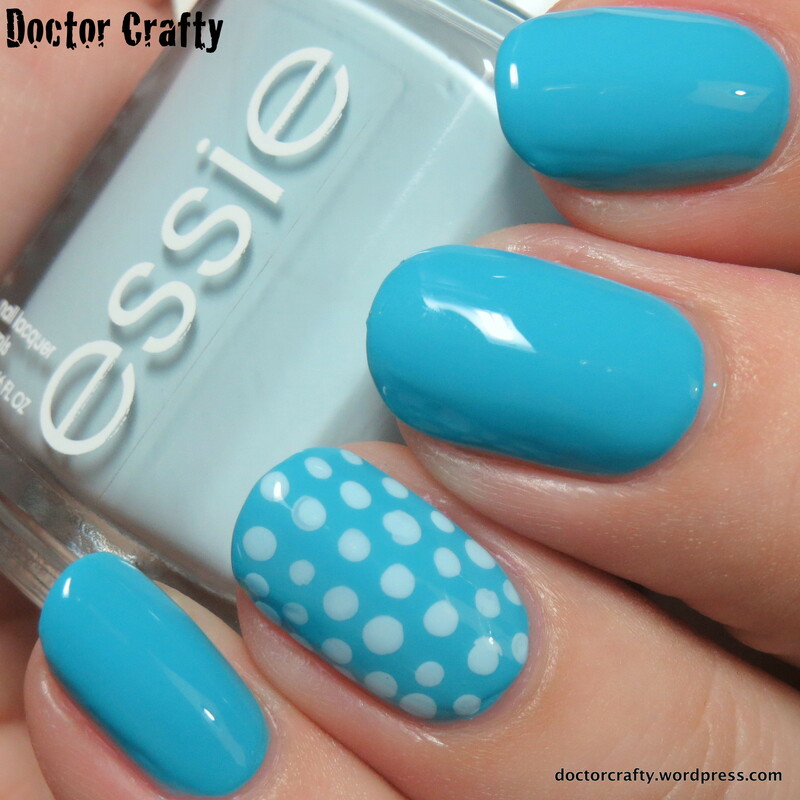 Base color: Polish My Life Stripped… One of my top 3 favorite white polishes. It’s even and opaque coverage in 2 coats! 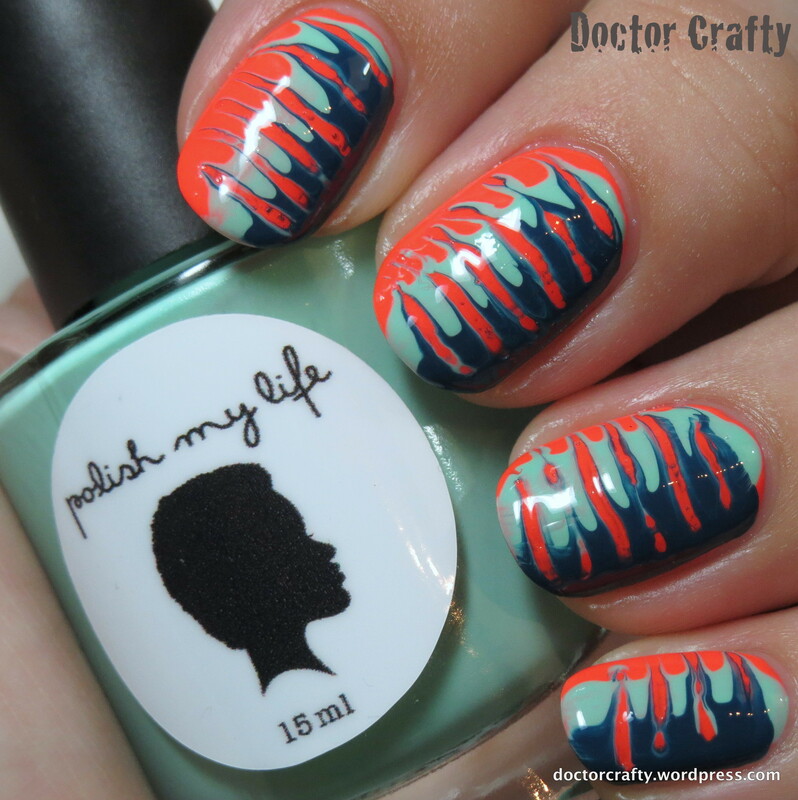 Polish My Life Coral Fedora… This is a gorgeous light coral creme with a perfect formula! What do you think? 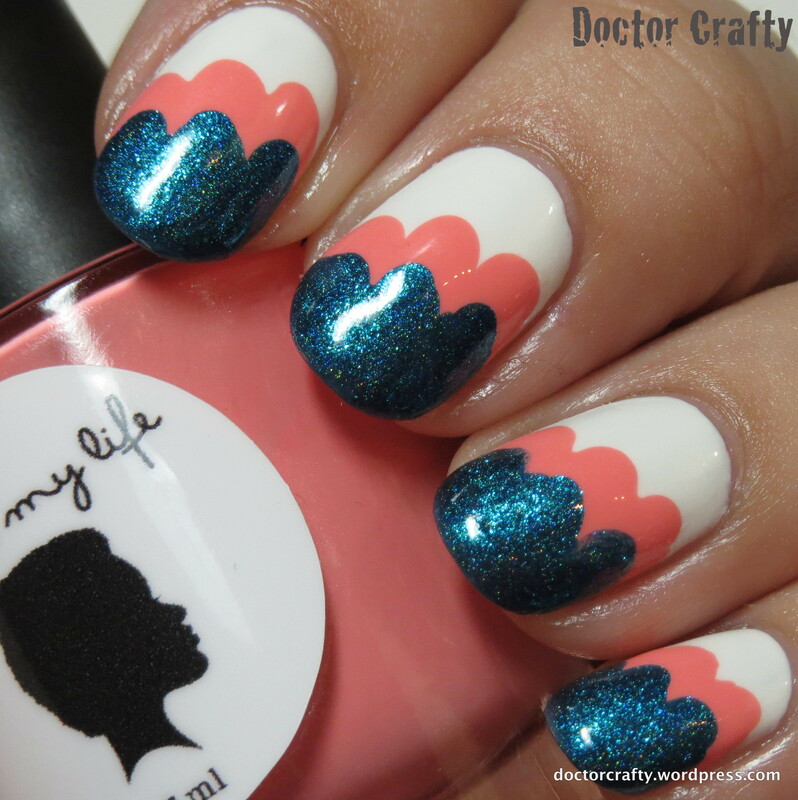 Have you done cloud manis before? 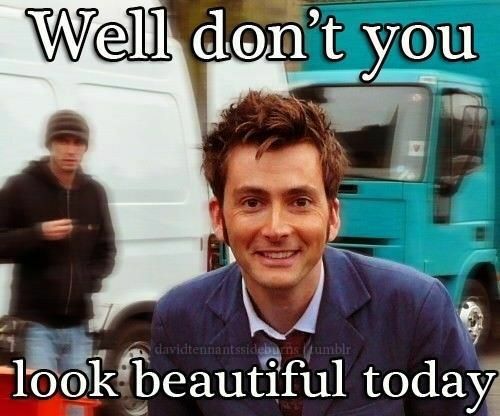 And here’s your daily David Tennant! This entry was posted in Nails and tagged david tennant, doctor who, holo, holo nail polish, holographic, holographic nail polish, holographic nails, I Love Nail Polish, i love nail polish admire me, ILNP, ILNP Admire Me, manicure, nail art, nail challenge, nail challenge collaborative, nail polish, nails, polish my life, polish my life coral fedora, polish my life stripped on April 27, 2015 by doctorcrafty. Hello my sweet readers! When I recently pulled out some polishes from Superficially Colorful Lacquer‘s A Life On Pandora collection, I realized I’ve never shared pics of my favorite one! 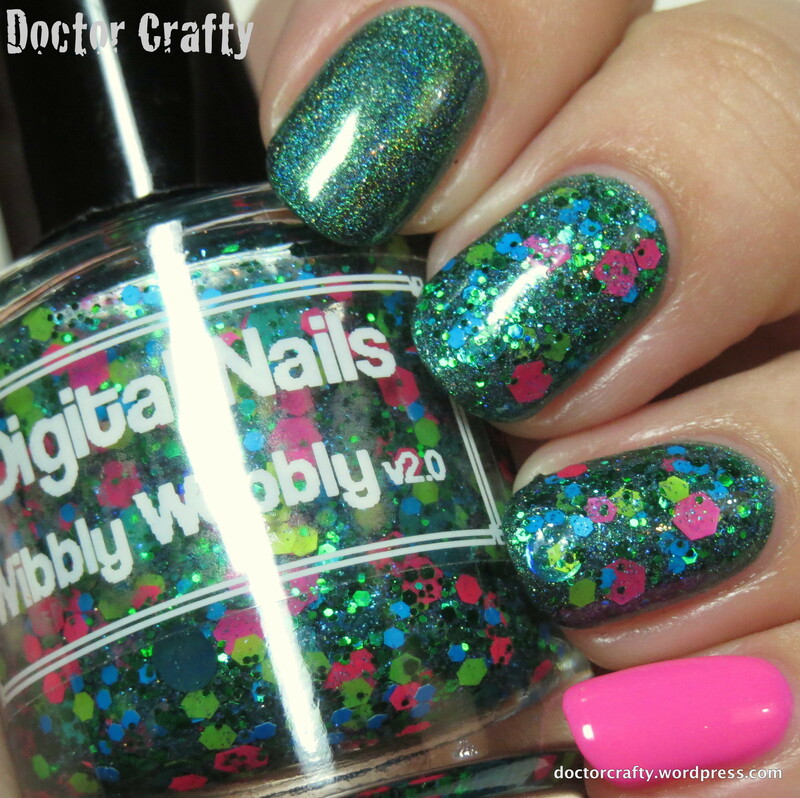 This collection full of neon holos is to die for, and I think Tsahik is the most beautiful! I love love LOVE this polish! 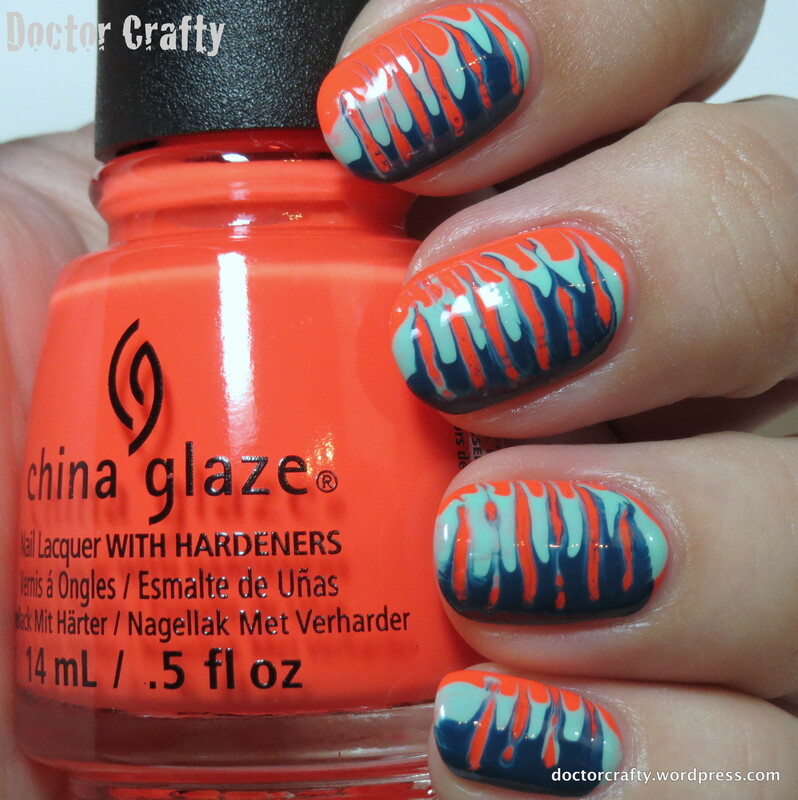 Coral holos are so great! I know I’ve shared a bunch of coral polishes, but it’s because I love this shade so much! It makes me look like I actually have some pigment in my skin. The color is so hard to photograph! The above pic makes it look like it leans more orange, but in real life it’s a true coral. It’s a perfect mix of pink and slight orange. This pic is much more true to color! Gorgeous right?! Just wait, cause here comes the money shot! So bright! So coral! Aaaaaand it’s holographic! My drool has no limits. So what do you think? Do you like coral as much as I do? 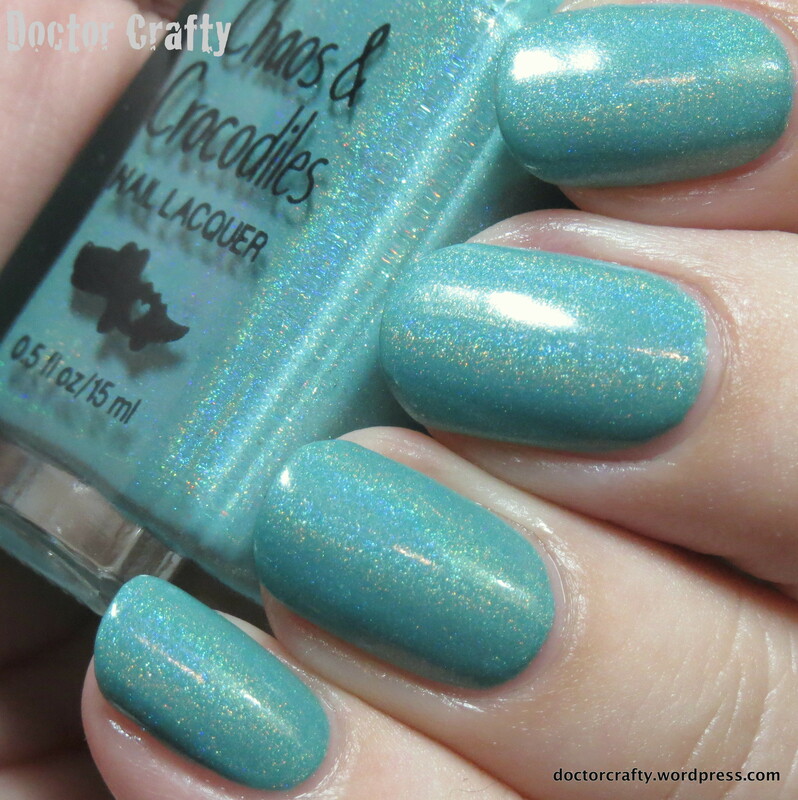 What do you think about a comparison post with all the coral holos I have – any interest? This entry was posted in Nails and tagged david tennant, doctor who, holo, holo humpday, holo nail polish, holographic, holographic nail polish, holographic nails, life on pandora, nail polish, nail polish review, nail polish swatch, nails, superficially colorful lacquer, superficially colorful tsahik on April 22, 2015 by doctorcrafty. Hello sweeties and happy Wednesday! Today is a quick post for Holo Humpday since I’m on vacation. I wanted to share another gorgeous polish from the Life on Pandora collection by Superficially Colorful Lacquer (check out some of the others here, here, here, and here). 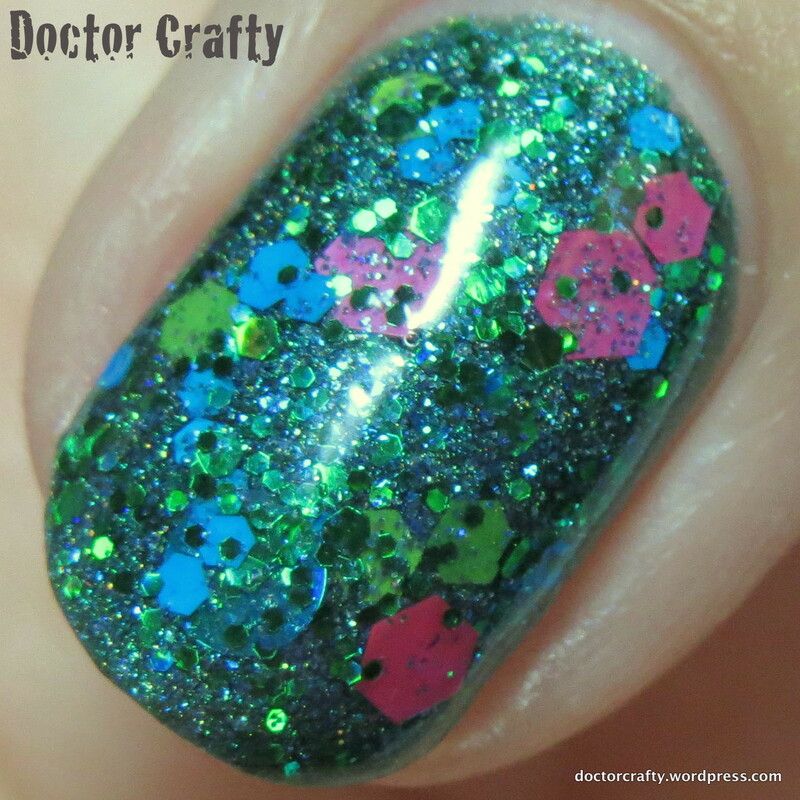 This holo is Utral Aymokriya! Whoa baby, right?! All the preview posts I saw listed this as the breakout color from the collection, and I don’t think they were wrong! It’s absolutely stunning! As I’ve mentioned recently, I’ve really been feeling this pink-leaning purple shade recently. The fuchsia speaks to me! 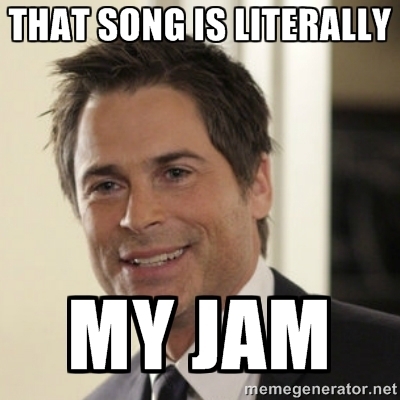 It is totally my jam! Aww I miss Parks & Rec! Did you watch that show? 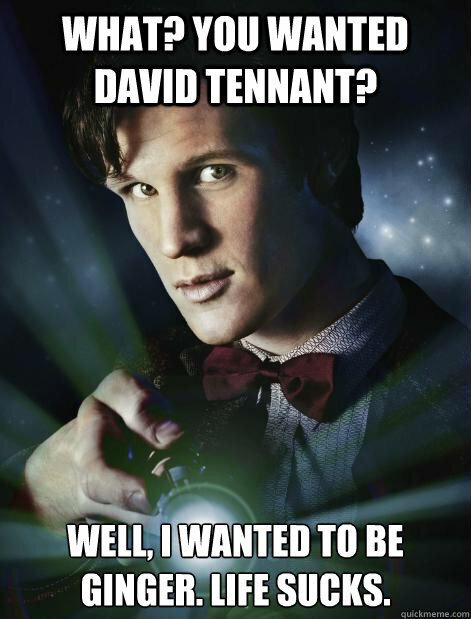 I loved it so hard! So what do you think? Are you as impressed with this collection as I am? Do you own any? This entry was posted in Nails and tagged avatar, david tennant, doctor who, holo, holo humpday, holo nail polish, holographic, holographic nail polish, holographic nails, life on pandora, nail polish, nail polish review, nail polish swatch, nails, superficially colorful lacquer, superficially colorful utral aymokriya on April 15, 2015 by doctorcrafty.